What if Europe divided into Regional National Teams? 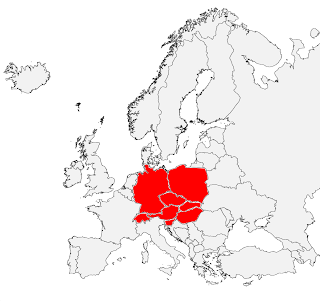 Here is TB11's Central Europe NT. Feel free to make suggestions and/or create your own Central Europe team. Would prefer Huth (Stoke) in the defense, but five Germans are to much, so I decided to take Pogatetz as third austrian player. Nice idea!!! Thanks guys. It's good to know I'm not the only one that enjoys doing stuff like this. Most of the players listed were in my initial list of players as well but there are also some interesting choices that I hadn't thought of (Alaba, Schmelzer, Büchel, etc.). I'm slightly surprised that nobody included Mario Gómez. In retrospect I think I would trade Neuer for Handanovič and one of my forwards for Gómez. Thanks again for participating guys, enjoyed looking at your squad selections. Keep an eye out this week for the rest of the European "regional national teams". Sorry I did the Eastern European one and didn't see the rules..whoops..